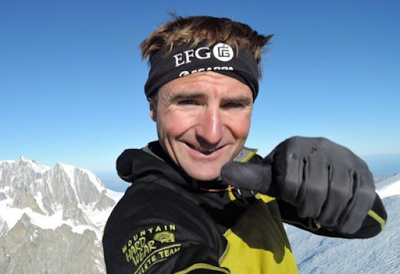 Famous mountain climber, Ueli Steck was killed on Sunday, April 30, 2017 in an accident near Mount Everest. The 40-year-old died when he slipped from a slope and fell into a crevasse at around 6,600 meters on Mount Nuptse. 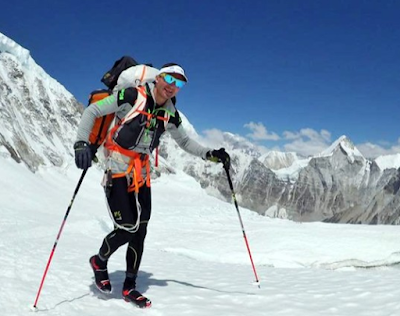 Mingma Sherpa, an official with expedition organizer Seven Summit Treks said, the "Swiss Machine" as he's fondly called was acclimatizing himself as he planned to ascend 8,850-meter Mount Everest and Mount Lhotse next month. His death is the first casualty of the this year's spring mountaineering season in Nepal, which is expected to involve 365 registered climbers from 39 teams, officials said. Last year, six climbers died on Mount Everest.